We offer industrial online and onsite industrial equipment auctions through our third-party services. Whether you have surplus industrial machinery or need liquidation of equipment, GMB can help. We set up machine auctions for various sellers and occasionally hold them ourselves at our 25,000 square feet storage and machine brokerage warehouse in Watertown, Connecticut. Our sales strategy combines lots from different sellers to generate the most traffic in an auction. This means Global Machine Brokers liquidates both big lots and small lots. Therefore, we provide individual machine liquidation and factory liquidation. Your liquidation will occur mainly through timed online auctions and the occasional live auction. We catalog and conduct auctions that yield the most monetary results for your company while using the best online auction house. Why choose Global Machine Brokers? Global has over 10,000 industrial customers acquired since 2007. We can combine small auction lots with another group to make a larger auction bringing in more customers. Global serves as a retail sales channel for used industrial equipment. We know values and equipment and how to get money for it! From hosting dozens of auctions, GMB has the strategy to create the most profit. 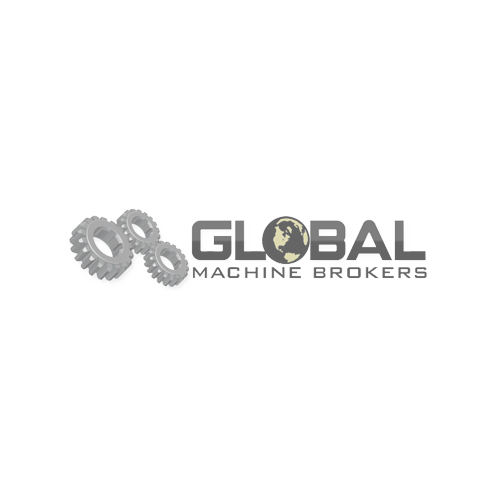 Contact Global Machine Brokers if you wish to sell your machinery at (860) 484-4449 or use our quick and easy online form. If a machine auction does not suit your needs, let GMB broker your items on our online catalog.